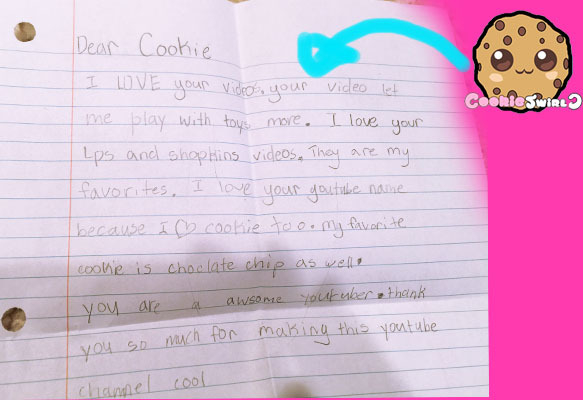 I love this part of the letter “your video let me play with toys more.” I’m so happy that my videos inspire fans to play with their toys. 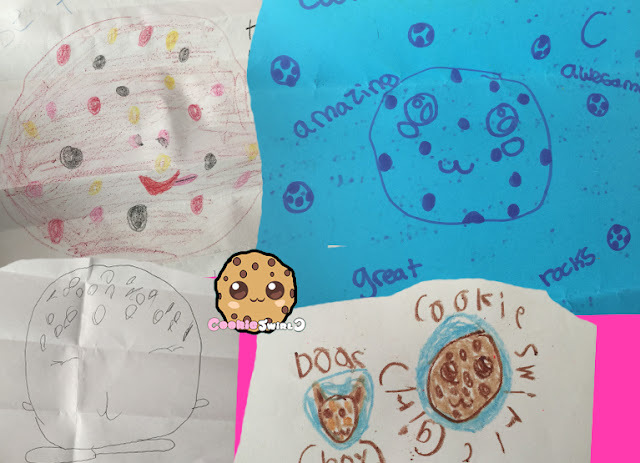 Imagination is where everything starts and playing with toys opens up a world of unlimited imagination. 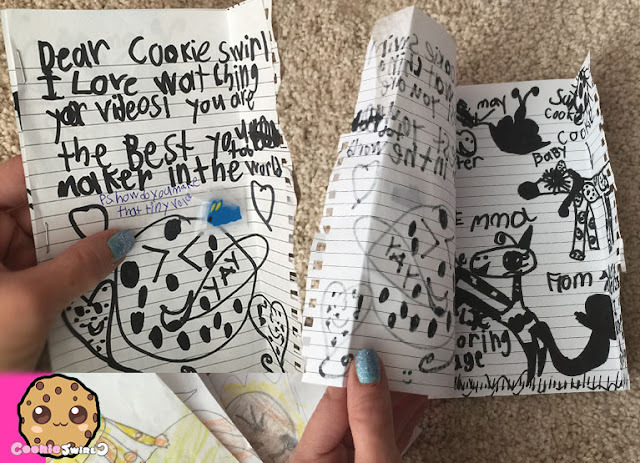 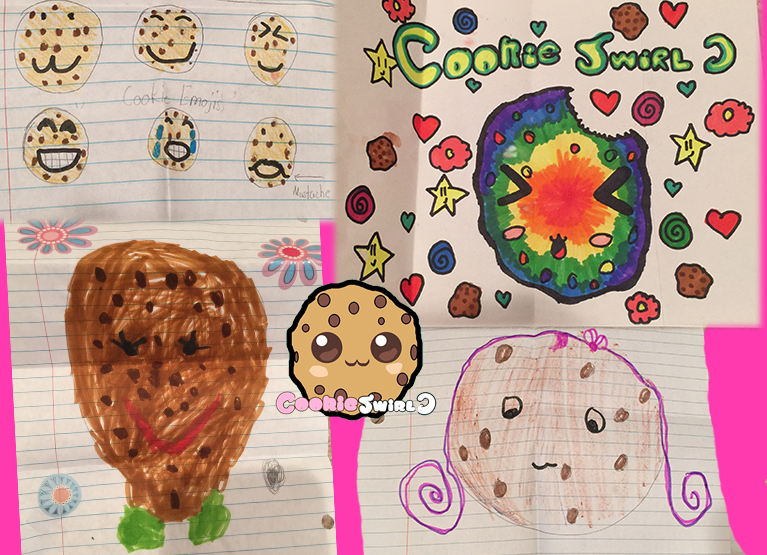 A cookie fan also mailed in this mini book of her drawings. Cookie fans are super creative! 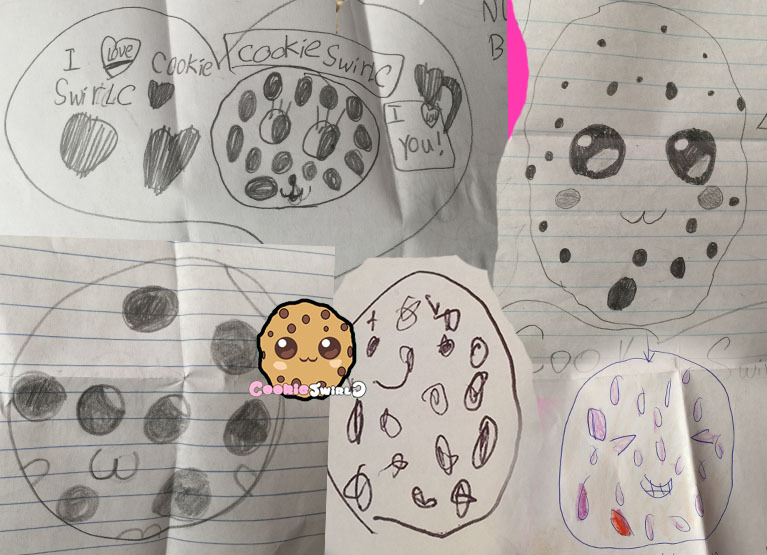 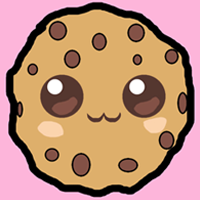 I love the cookie emojis, rainbow cookie, the cookie with green feet, and cookie with pink hair.